If you have dental implants make sure you are flossing around it correctly. 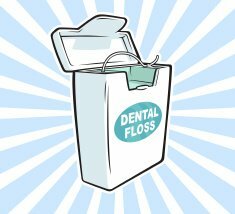 To removed excess bacteria, plaque and debris from dental implants, pull the floss inwards towards the post of the implant and use a back and forth sawing motion instead of an up and down movement. This #tuesdaytip has been provided by one of our licensed dental hygienist at Periodontal Associates – The Dental Implant Team. Drs. Versman, Heller, and Beckman in Aurora, CO are proud to be serving Denver and the surrounding communities for over forty years.